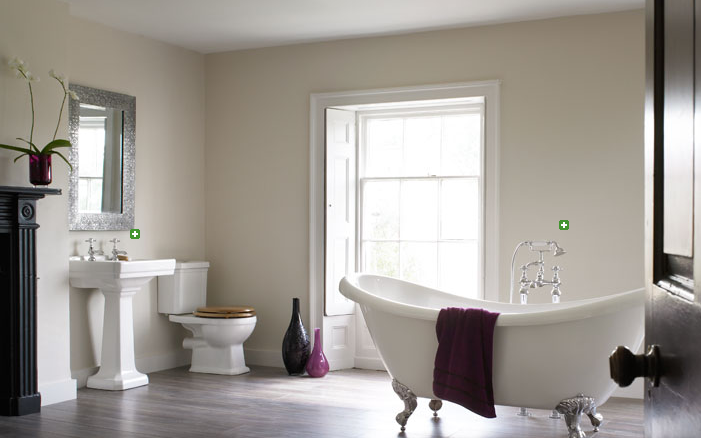 The look of modern bathrooms by Victoria Plumb is based around sleek lines and contemporary touches which are far removed from the ornate and fussy finishes found in the old Victorian and Edwardian styles and designs. Today's bathrooms make imaginative use of new materials and natural resources. They conjure up more of an atmosphere of a luxury spa than simply a functional room and present a clean and minimal image that can fit any home; whether period property or new build. A modern bathroom, even with modern twists on traditional design, is more efficient and easier to maintain. Sadly, for many of us our bathrooms can be tired and somewhat neglected. So how can you give your bathroom a makeover without going to the expense of ripping everything out and starting all over again? 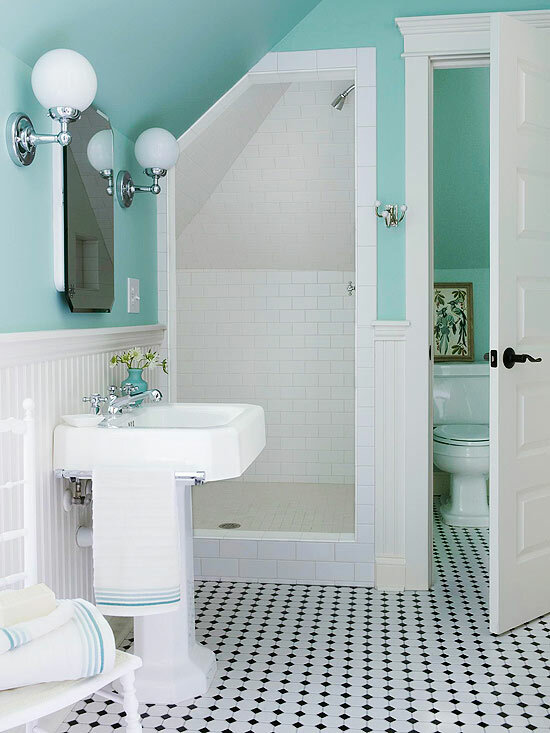 Country Living suggested 7 budget friendly bathroom makeover tips which could also be applied when thinking about the modern bathroom makeover you’ve been looking for. 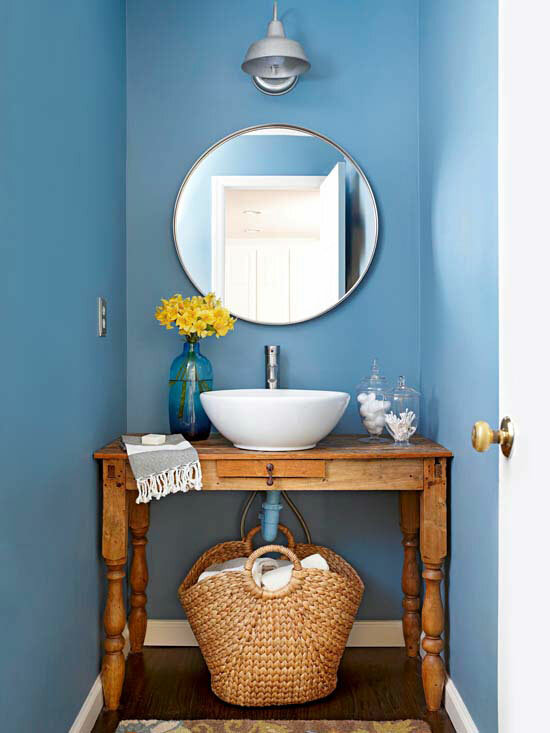 Unexpected use of colour can be particularly striking in a bathroom where white is often the central colour. Modern minimalistic bathroom styles use vibrant bold colours in towels and floor mats with white floors and walls to produce a stunning effect, or use a monochrome combination of black and white in tiling or flooring for simplicity. Aqua is always a favorite of mine! As with any other room in the house, the way that a bathroom is lit has a major impact on the way it 'feels'. If you have bright lighting it can give an overly harsh effect that isn't really conducive to a relaxing spa-like environment. 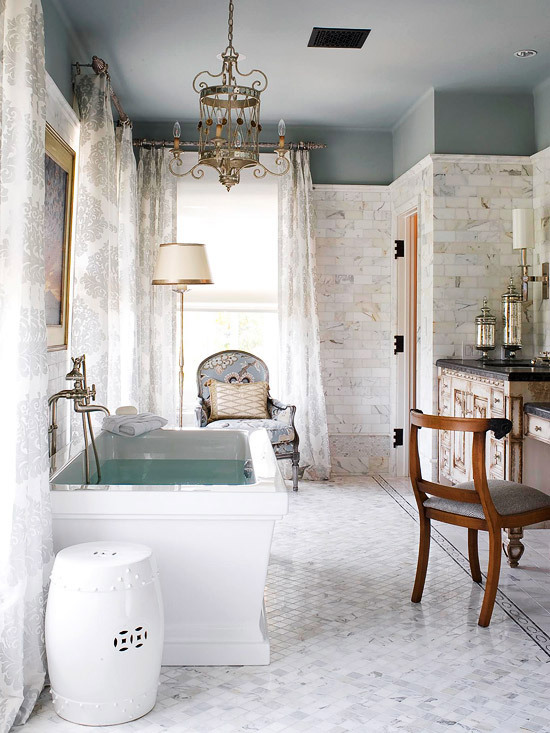 Aside from the amazing tile work in this bathroom, the floor lamp is such a nice surprise. Start by replacing bulbs with full spectrum, 'natural daylight' ones. Candles can help create a relaxing spa-like mood but you may want to consider electric fittings for a safer, more efficient option. It is also worth considering putting opaque coverings on windows instead of using black out blinds or heavy curtains as this can help make use of available natural light and reduce your need for artificial. 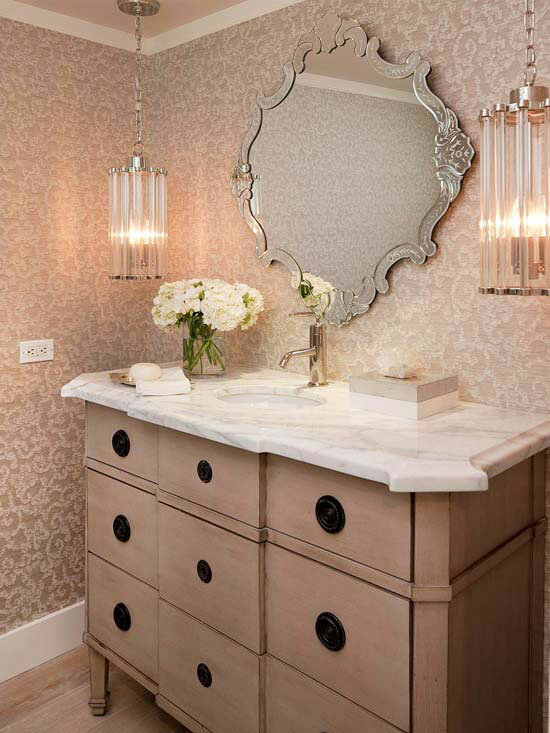 A popular trend is the use of an illuminated mirror cabinet. Accessories - any bathroom sets a tone by the use of accessories. Using chrome and glass can help a modern makeover take shape as can choosing bold block colors for towels, mats and shower curtains. Clever use of mirrors can not only help smaller bathrooms look and feel much bigger but you can also place them to create extra effects with your lighting and adjust the mood. Taps - the taps you choose can also have a dramatic effect. Tall standing mixer taps can make a bold statement as can the ultra modern open taps which create a waterfall effect. These fittings are relatively inexpensive but immediately bring your suite up to date. Storage space in a bathroom is often at a premium so cabinets tend to get installed and forgotten about. You can give a bathroom a totally new look for very little outlay; replacing old bathroom cabinets with contemporary wood finishes can make an instant difference. A unit with a mirror can also add space a enhance light to your bathroom. 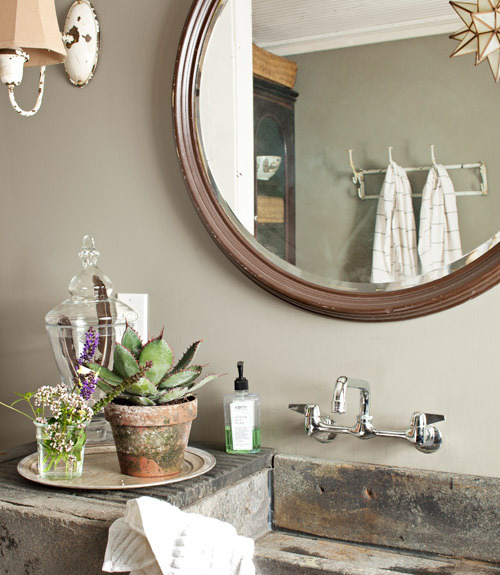 Gotta love this repurposed soapstone sink! A basin vanity unit is always a worthy the investment but a counter top basin and waterfall effect tap is also recommended by Victoria Plumb if you want to have the greatest impact with your bathroom makeover.